The idea of mini-expansion will be familiar to most of us. We enlarge by increments, and our features grow fat before we’ve even noticed the change. The same thing’s happened to Europa Universalis IV. The already-stuffed grand strategy game has ballooned again this week with the £3.99 Res Publica update, which has found room for a new government type and faction system. “In Res Publica, dictators and diplomats will discover new ways to manage and govern their empires, including additional ways to influence growth, sway the balance of power, and maintain – or shatter – a nation’s stability,” say Paradox Development Studio. Republican Dictatorship is a funny old idea. It’s presented as a sort of get-out-of-jail-with-your-head card for despots feeling threatened by their people. Dictators can give up a portion of their power for a slow-burn boost to Republic Tradition, the stat that determines whether governments collapse or reactionaries spring up in their backyard. Dutch Republics have an even stranger modus operandi. If Statists are in power, elections will now be held every four years, and a ruler will be picked from two random candidates. If Orangists are in power, there’ll be no election until the ruler is dead. The new faction system consists of Aristocrats, Traders and Guilds. Players will be able to spend power to increase faction influence and garner the benefits of that faction’s bonuses. New idea groups, meanwhile, open up the possibility for “expanded exploration”. Res Publica is now out for Windows, Mac and Linux, alongside a serious free patch. 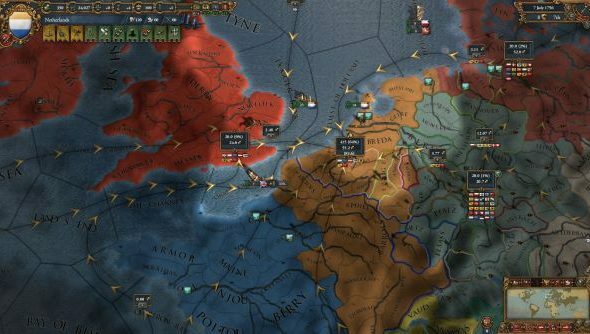 Have you returned to Europa Universalis IV since Conquest of Paradise filled it with tense, global wars?